Between the 1870s and the 1930s competing European powers carved out and consolidated colonies in Melanesia, the most culturally diverse region of the world. As part of this process, great assemblages of ethnographic artefacts were made by a range of collectors whose diversity is captured in this volume. 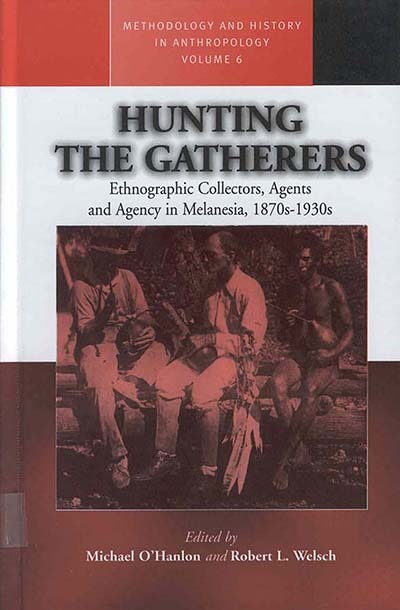 The contributors to this tightly-integrated volume take these collectors, and the collecting institutions, as the departure point for accounts that look back at the artefact-producing societies and their interaction with the collectors, but also forward to the fate of the collections in metropolitan museums, as the artefacts have been variously exhibited, neglected, re-conceived as indigenous heritage, or repatriated. In doing this, the contributors raise issues of current interest in anthropology, Pacific history, art history, museology, and material culture. Michael O'Hanlon is Director of the Pitt Rivers Museum, University of Oxford. Robert L. Welsch teaches at the Department of Anthropology, Dartmouth, New Hampshire.